Here at The Boho Bakery, we know that each and every pair of love birds that walk through our doors is unique. They have their own likes, their own dislikes and their own story to tell and what better way to tell it than through the medium of cake? Our bespoke Wedding Cakes and Cake Tables are designed to be a visual representation of you. Styled and finished to your specifications, as outlined throughout our consultation service, we produce a product that looks both beautiful and individual. We will work with you to develop a table that is made up of flavours that are reflective of your personal likes and your story as a couple so far. We can make suggestions when it comes to flavours (salted caramel, lemon and pistachio or rum and raisin to name just a few) but would also encourage you to employ the skills of our expert baker to develop your own flavours and design a cake entirely unique to you. 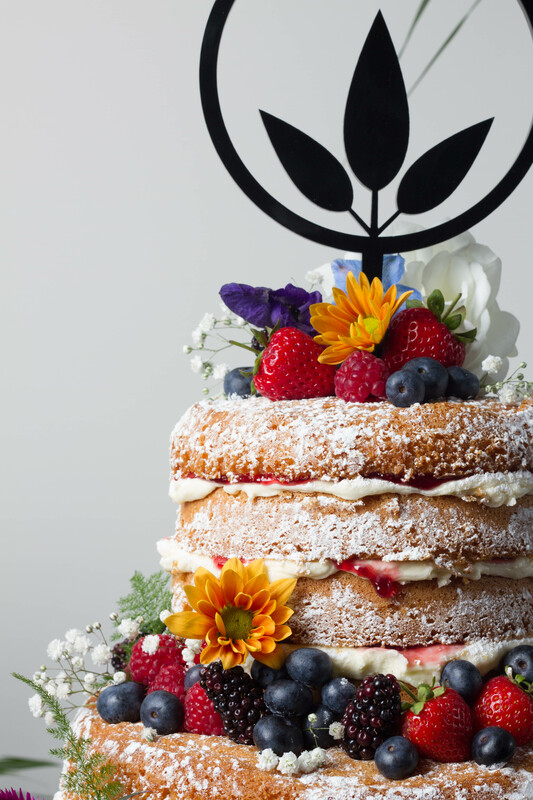 The abandonment of fondant icing and the freshly baked nature of our creations means that your Wedding Cake or Cake table will not only taste truly wonderful when cut but will smell divine throughout the entire day – just another perk of having a Boho Wedding Cake. We cater for a variety of dietary requirements and will work alongside you to ensure that each and everyone of your and your guests needs are met. Gluten free, dairy free or straight up vegan – everyone will enjoy a sweet treat on your big day. If you’re interested in having a Boho cake or cake table for your big day, drop us an email or give us a ring (pardon the pun!) and we’ll set a date for a consultation with our head baker/chief stylist so that she can meet you and get to hear about the vision for your big day. any props involved in the styling of the table – we’ll even source these for you if you’d like? Once you are happy with the design, Pennie will gather all the details and produce a sketch demonstrating how the table will look on the day of your wedding… it’s just a little extra we like to throw in so that you can keep imagining how wonderful it will all be on the big day. Do not fret, though, if you decide that you would like to make some alterations post picture stage. We are on hand and ready to change the design up to a month before the big day itself. On the day of your wedding, we will deliver the cakes and all their stylistic pieces to your venue; set up and style the cake table to the specification outlined in the aforementioned sketch and will even leave take away boxes in case, through some very strange twist of events, any cake is left at the end of the night. If the above tickles your fancy then please don’t hesitate to get in touch. Arrange a consultation and we’ll get started on creating your very own Boho creation.